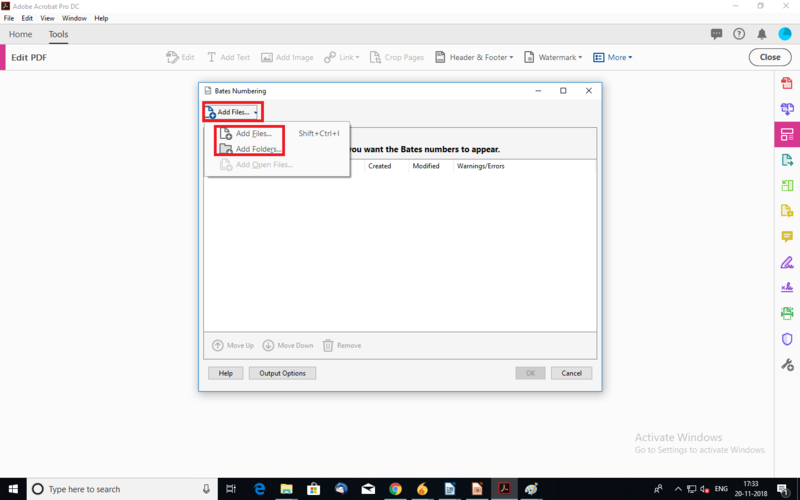 Home / Forum / How to Insert Page Number to Adobe PDF Documents? Bates stamping is a procedure of indexing the documents or assigning a series of self-incrementing numbers. It removes the need of hand stamping which was very famous in earlier time. It’s purely a revolutionary move. Also, it eliminates the need of Microsoft Word for adding page numbers to PDF document. While dealing with the large document, adding a number in Microsoft Word to each page would be difficult. Know more about Bates stamping and its methods to insert page number to Adobe PDF documents. 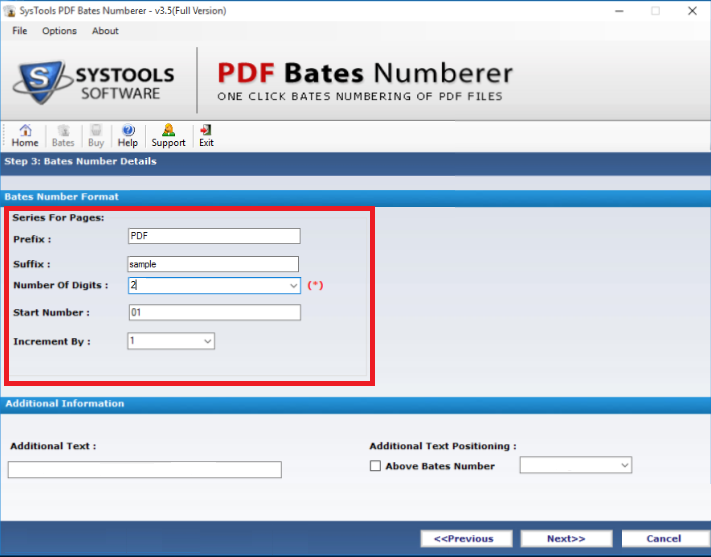 Why do we Need to Add Bates Numbering to PDF Documents? 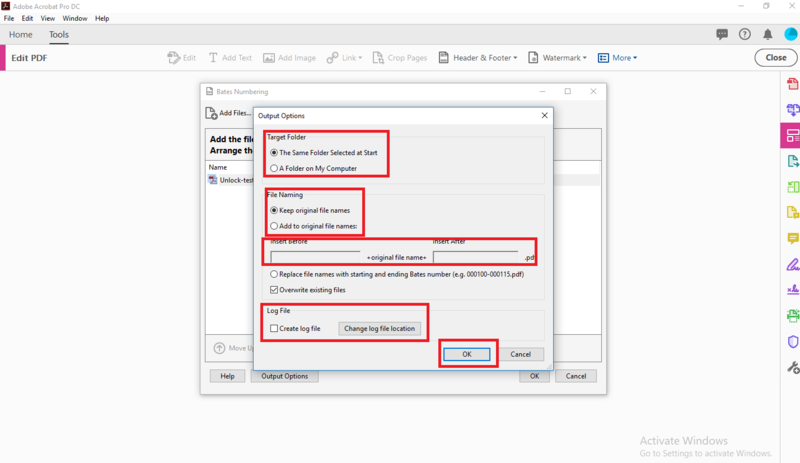 Adobe file efficiency and productivity can be increased when the user apply page numbers to PDF documents. It helps to achieve the proper identification and retrieval of the document. For providing uniqueness to PDF document bates numbering is required. It can also insert alphanumeric sets of numbers. This is a straightforward technique to include prefix and suffix which makes it easier to accomplish the labeling of the files. Further, numbering appears on footer or header section, which applies on specific pages as well as on all digital documents. File integrity also gets enhanced when bates number position & page range gets set. After the whole configuration, users can easily insert page number to Adobe PDF without any difficulty. 1. PDF file page numbering is used in office tasks frequently. 2. Paralegals use bates stamping for organizing their document. 3. In law courts its mandatory for legal documents to insert page number to Adobe PDF. 4. Accountants usually use bate numbering to print their ledgers which are documented in PDF. 5. For making lab reports, most of the medical institutes use sequential numbering. 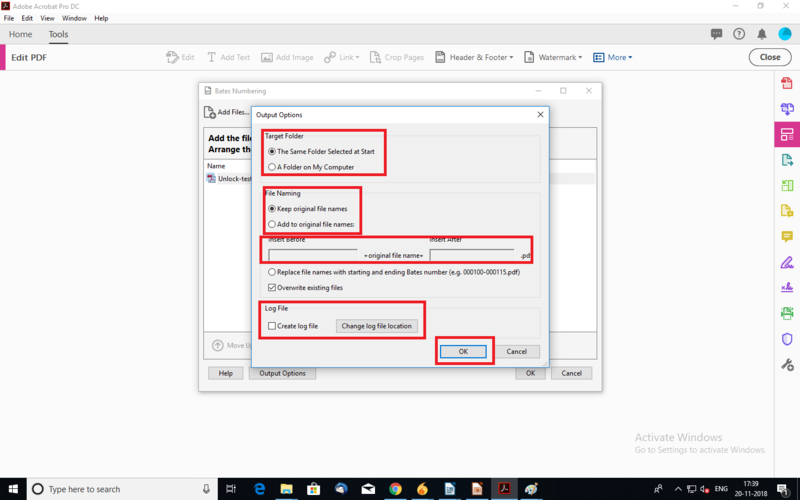 How to Insert Page Number to Adobe PDF? This approach is provided by Adobe to identify and label the PDF document without an external help. It provides a vast range of features such as date stamping, automatic adding of page numbers, sequential numbering for legal documents, etc. 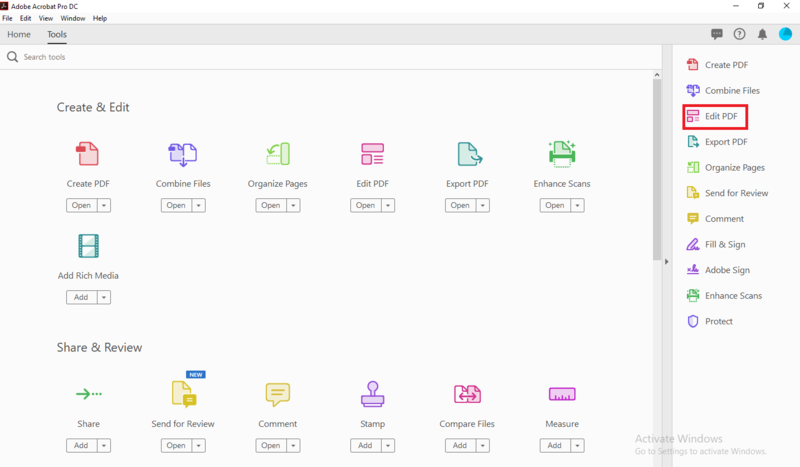 It basically makes PDF files more authentic and well-organized. 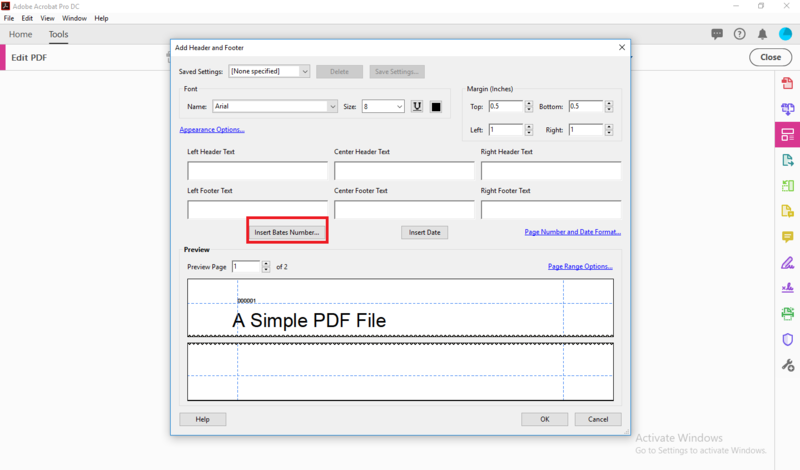 Header and footers can be added to one or more PDFs with displaying the page number on either side left or right. It gives you preview option before appended the header or footer. Also, the sequence number can be applied in either order, it can be in odd or even. 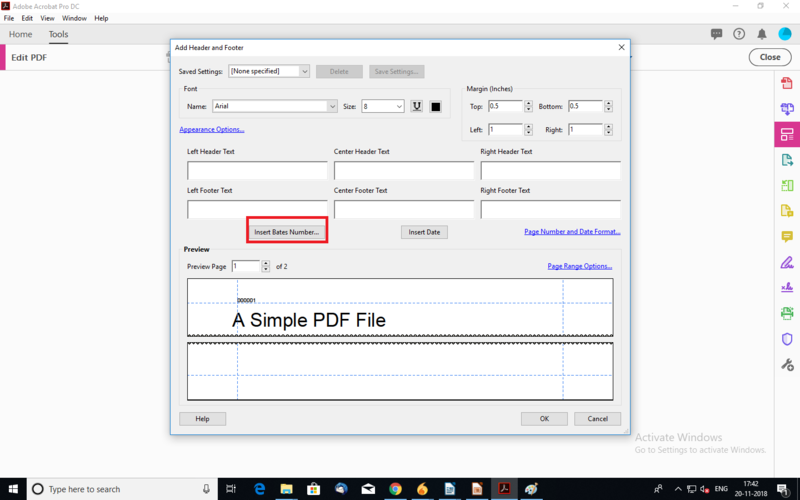 Let’s see how to insert page number to Adobe PDF step by step. STEP 1- First, Open the Adobe Acrobat DC Pro. STEP 3- Here, Select “More” from the top panel and then, Bates Numbering>>Add. STEP 4- Now, a Bates Numbering window will pop-up, choose “Add Files” option from the drop-down bar according to your preference. STEP 5- Select the added files, here you see “Move up”, “Move down” option which help you moving the files in either order. STEP 6- Choose “Output Option” located at the bottom. In Output window, you can change the Target folder, file name and location of the file according to your requirement. Click “OK”. STEP 7- Now hit “OK” to proceed further. STEP 8- Add Header and Footer window will show, select “Insert Bates Numbering” option. STEP 9- Here, insert “Number of digits, Start Number, Prefix, Suffix. Then hit “OK”. STEP 11- A dialogue box pop up, it stated that Bates numbering is successfully applied. Hit “OK”. It doesn’t remove encryption from added files, in fact, that option is unavailable. Folders containing only PDFs are added. Do not use #function in Prefix for the higher number of digits. This approach purely focuses on bates stamping multiple PDF documents. This is implemented only to provide the sequence number to PDF document. This will allow users to generate page number in multiple files. It covers all the features of the above-mentioned approach. 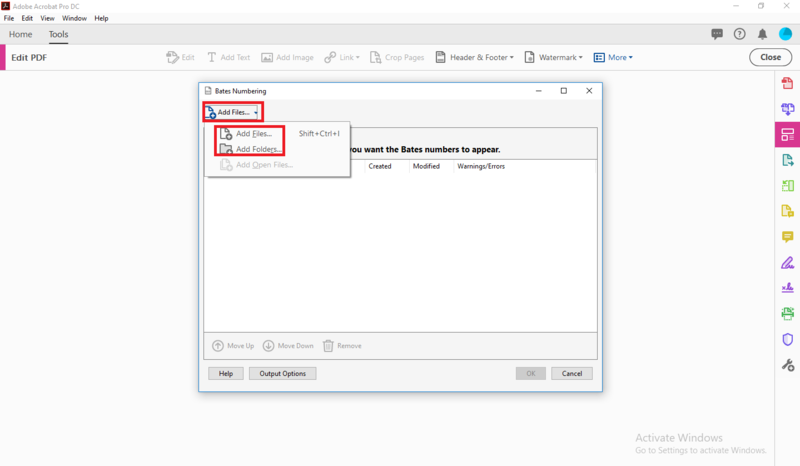 In addition, SysTools PDF Bates Numberer removes the restriction from the PDF document to insert page number to Adobe PDF. It can be done in quick steps which are explained below. STEP 2- Select “Bates” from the left-top panel. STEP 3- Here, you see 3 options in select option. 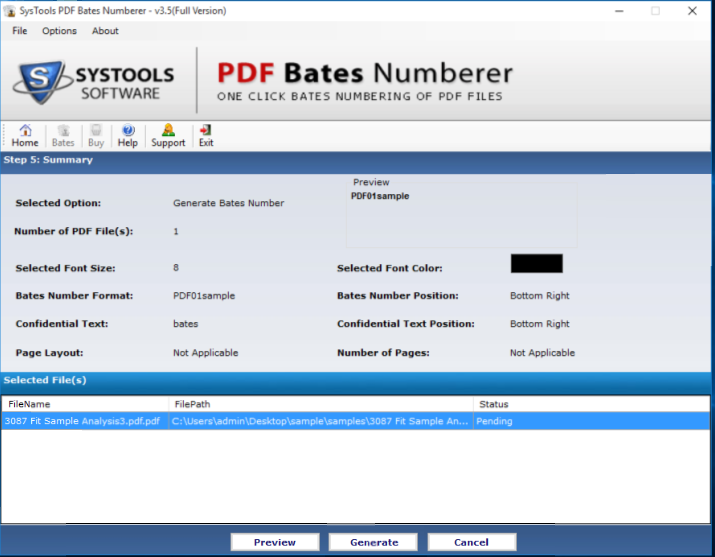 Choose “Generate Bates Number”, it will generate bates number on file pages. Click “Next”. STEP 4- Here, choose “Add Files” or “Add Folders” from the left panel. STEP 5- Choose files from the folder containing PDF files and click to “Open”. STEP 6- Here, you can see uploaded files. Check the “Remove encryption from files” from the left-bottom check box. Select “Next”. STEP 7- Now, fill the Bate number details, Additional Text, and Additional Text Position. Then click to “Next”. STEP 8- Fill Bates Number position, Font color, Choose File name convention. Also, browse the destination folder. To view summary do not browse the storage folder, skip this and hit “Next”. STEP 9- It will display in this format. Here, you can choose “Generate”, “Preview”, “Cancel” as per your convenience. Also, the status is showing pending because the file is not generated yet. Then go back and browse the storage folder. STEP 10- If you select “Preview”. It displays like this. STEP 11- Now click to “Generate” button to apply page numbers to PDF. STEP 12- A dialogue box will show. It states that Bates Generation process completed. Click to “OK”. Also, the status has updated to complete. It would definitely work for any user who is searching for a brief overview of bates numbering. Indexing by the sequence number is very useful during file documentation. 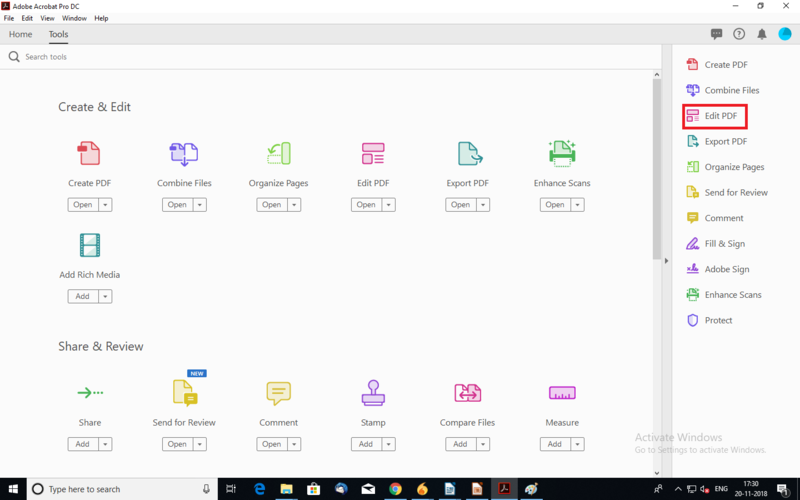 The automated approach recommended by experts because it is specially designed to insert page number to Adobe PDF files in batch.